The drug Andriol in bodybuilding is used relatively recently, since the late 80s of the last century. This is an anabolic steroid, the active substance - testosterone undecanoate. Available in capsules and injections, is used most often in oral form. The reason is rather low compared to other similar substances, toxicity to the body, and not pronounced manifestations of aromatization. It is not used in women's sports, although in medicine it is sometimes prescribed for pathologically high levels of estrogen, uterine myoma, and a number of other diseases. Absorbed in the digestive tract, enters the blood almost instantly. The maximum level of testosterone after taking the drug is fixed after 2 hours, then it drops during the day. It is believed that the drug is rapidly eliminated, and does not manifest itself in doping control, because Andriol in bodybuilding is quite common. In women, the drug reduces the estrogen background and leads to manifestations of masculinization, in bodybuilding it is not used for them. In fact, Andriol is a prohormon. It turns into dihydrotestosterone in the body, and, although it gives certain advantages, it practically does not aromatize. In practice, andriol in bodybuilding begin to accept those athletes who have already faced the negative manifestations of aromatization - a sharp decline in their own testosterone and gynecomastia. Testosterone undecanoate is promoted as the best anabolic steroid, however, to obtain the effect, it should be taken in high dosages, since the substance has a low bioavailability. Andriol is characterized by all the side effects inherent in the entire group of testosterone esters, with only a small amendment - due to the low bioavailability, the side effects are less pronounced. Daily dosage - from 6 capsules (240 mg) to 12 capsules (480 mg). The daily dose must be divided into three doses. 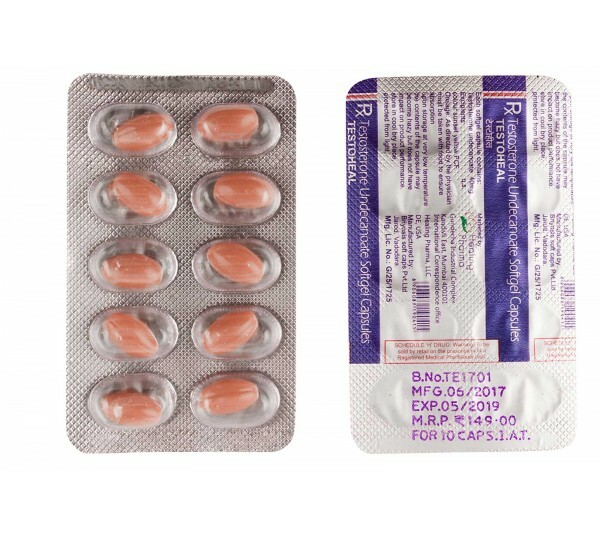 It is recommended to combine the intake of andriol with the intake of oxandrolone. Andriol is the only testosterone ester that women can take without fear. The dosage is several times less than the male - 120-240mg per day.